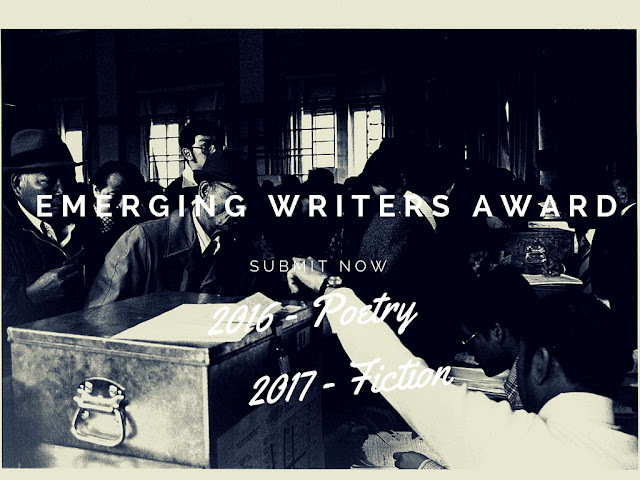 The ACWW Emerging Writer Award is a community-building initiative of the Asian Canadian Writers’ Workshop to encourage the development of quality manuscripts and finished works by new writers in our community. The 2016 competition is for a poetry manuscript and the 2017 contest is for a book-length work of fiction by an Asian-Canadian writer of Pacific Rim Asian heritage who has not previously published any book-length work of any genre in traditional or digital form. The author must be a Canadian of Pacific Rim Asian heritage (including East Asian or Southeast Asian descent) and an emerging writer who has not previously self-published or traditionally published a book-length work of any genre in traditional or digital form. After a manuscript is submitted to the EWA competition, the author agrees not to submit the work to any publishers until after the manuscript has been released from the EWA competition in September 2016 (or September 2017 for the fiction competition.) Receipt and release of the manuscript will be acknowledged in a timely fashion. The jury will be comprised of three members of the writing community. If there is no work of sufficiently high quality, the jury may decide that there is no winner. Submissions for the 2016 poetry competition must be postmarked by July 1, 2016. Submissions for the 2017 fiction competition must be postmarked by June 1, 2017. 2) $25.00 registration fee entitles the entrant to a year’s membership in ACWW. Cheque written out to: Asian Canadian Writers' Workshop Society. Deadline for manuscripts: must be postmarked by July 1, 2016. The winner will be announced at during the 2016 literASIAN: A Festival of Pacific Rim Asian Canadian Writing Festival in September 23-25, 2016.